From the tiny chihuahua to the massive Saint Bernard, domestic dogs today trace their roots to a single group of wolves that crossed the path of humans as long as 40,000 years ago, researchers said Tuesday. 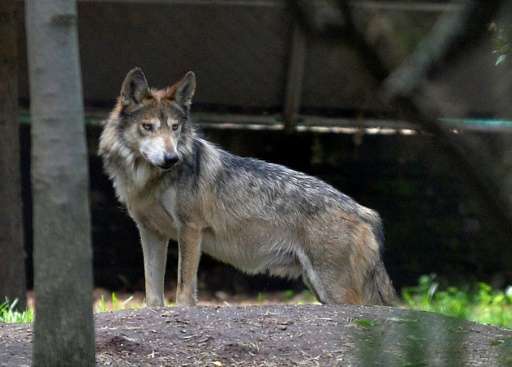 Their findings are bound to reignite the scientific disagreement over when, and where, "man's best friend" first split from its wolf ancestor. The process of dog domestication was probably a "passive" process, they added. "Those wolves that were tamer and less aggressive would have been more successful at this" and more likely to befriend humans, explained the researchers. These were not dogs as we know them today—they rather resembled "village dogs" which roamed freely, did not live in specific people's homes and scrounged for food. 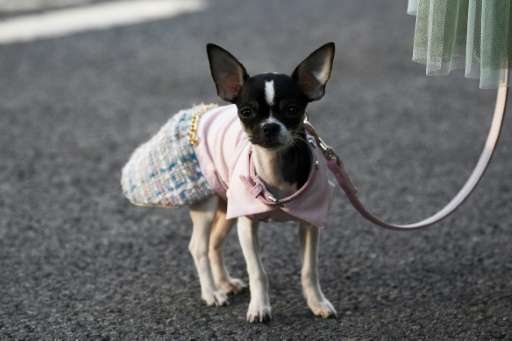 "By... 7,000 years ago, they (dogs) were pretty much everywhere, including North America," study co-author Krishna Veeramah of Stony Brook University in New York, told AFP. The team relied on the fossilised DNA of two dogs dug up in Germany—7,000 and 4,700 years old—which they compared to modern hounds. The first wildcat to travel abroad, and the forefather of domestic cats today, was Felis silvestris lybica—a small, striped Middle Eastern sub-species that went on to colonise the entire world, that study found. They keep putting that silly theory forward. I don't know who is behind it but my guess is it is someone trying to get their doctorate that has never owned a dog. It is in human nature for a child or a vary young women to pick up and take care of a wolf pup. They are a predatory pack animal just like us. Why wouldn't it happen in just that way? As the wolf pup got older it grew territorial, protecting the humans and was good to have around. And then everyone wanted to have one and the idea spread vary fast. Taming a wolf is nothing like bringing home a shihtzu from the pet-shop, and human nature is nothing like what it was 20K years ago. this, however, was very likely true. We lived in the country when I was a boy. I had a couple blue jays I raised after they fell out of their nest. I could call them down from the trees and they would land on my arm. I also had a squirrel I raised that was the same way. Those animals were wild yet responded with affection. How much more so a wolf since it is a social carnivorous pack animal like us. and human nature is nothing like what it was 20K years ago. That I would pretty much disagree with. Our customs and habits have changed but 20,000 years is just a drop in the bucket for evolution. We are talking about the urge to mother and raise a young one, animal or human. I have seen pictures where wild carnivorous animal will show compassion towards a young one of anouther species. Baffles me why everybody is ignoring the behavior of pack animals today. One important event is driving out those failing the dominance fights. A pack animal on it's own, weak or wounded? Not going to last long on it's own. No matter the drunken ramblings of Ayn Rand or Jack London. That tug-of-war games you play with your dog? That's how torip open the tough hide of a kill without a knife! Be a lot easier to follow some rambling hunter-gathers, even if their sweat stunk. Dig through the carrion, the trash, the latrines left behind. Yeah, canines share the gross habits of teenage boys, world wide. Those smart enough to stay out of reach of a sling or atlatl, would prove useful on a hunt scaring up game from cover. Then scavenge the offal. This behavior would be reinforced when humans got around to herding their prey. In my opinion, that was the tipping point when humans began to accept semi-wolves as provisional members of the human pack. I don't think anyone here would disagree with this. The disagreement arises at how we and the wolf reached that point. The majority of scientists say that we just kind of merged because we lived close together with wolves scavenging off our kills. Personally I believe it was much more personal. With a kid bringing home a young wolf pup. As the wolf got older it became vary clear how useful it was. It protected the family both by fighting predators trying to enter the cave/camp at night and by protecting the owner and his children from anyone else. Then when it went on the hunt with the humans it could kill the small pray and help drive the big pray. Its excellent sense of smell and hearing enabled it to find the pray the humans would have walked past. Upon seeing this every family in the human pack would want one. And so wolfs spread really fast.